Are you leading like a replacement ref? The NFL is in a tight spot right now. I am sure they didn’t want to cancel the season because of a labor dispute with the regular refs, but the replacement refs are doing little more than stirring up a whole bunch of controversy. Whether people want to admit it or not, they are having an effect on the game. One official says touchdown, the other calls it an interception. Bad/erroneous calls – The great thing about instant replay is that you can watch a single play over and over again from every angle and in slow motion. Under that kind of scrutiny, the replacement refs seem to be doing a bang-up job of calling penalties when there was no infraction present. That can give one team an unfair advantage and demoralize the team who was penalized for no reason. Missed calls – the opposite side of the spectrum is when an infraction takes place that is obvious to everyone except the guys in the stripes. Again, an unfair and demoralizing impact. Wrong calls – So they saw something happen and called a penalty, but it was the wrong one or it was enforced incorrectly. Can you guess the outcome? Here’s the thing. In a regular NFL season, all of these things exist, however not to the extent that they are happening with the replacement refs. Many players take the high road and say they just have to play better than the other team and the poor officiating won’t matter. There is no way that this type of thing can go on and NOT have an impact on the motivation, morale and frustration levels of the players and coaches. Here’s the completely crazy part: The NFL knows how bad it is so they sent a memo that coaches and players are not to harass the refs, and if they do they will be fined. So, let’s set someone up for complete failure and then discipline them when they fail. Something’s not right in Denver (or any other NFL city). Make good calls – Your job as a leader is to set the example of what’s right, what’s wrong and what will and will not be tolerated. You do this through your actions, your words, how you treat people and how you address inappropriate behavior. You may not have instant replay, but do your best to get all of the information to make an informed decision. Don’t miss calls – Yes, there are things you don’t see, but of the things you DO see, do something about it! It’s far too easy to look the other way to avoid conflict and controversy. Unfortunately, when you do that you are actually CREATING more conflict and controversy for yourself down the road. Issues are easiest to deal with when they are small and contained. Admit when you’ve made a bad call – While I have not read everything pertaining the replacement refs (and there has been a lot), I have not heard them apologize for any of the calls they’ve made (or not made). Maybe they don’t think they have done anything wrong or there is a gag order from the league, but I think some sort of recognition that there have been errors would go a long way with the players, coaches and fans. Same thing goes for leaders. Often we think apologizing is a sign of weakness that will undermine our authority, but the opposite is true. When done sincerely, it only helps your credibility and trustworthiness. To me, the bottom line is that the replacement refs (while giving people lots to talk about) are damaging the morale and engagement levels of those who make the game happen. Leaders who practice these same tactics will have the same impact on their employees – the ones making their businesses happen. That’s not a win-win for anybody. About the author: Matt Heller has spent his share of time “inside of the helmet” of football teams and organizations alike. It gives him a very unique perspective to help leaders get the most out of themselves and their teams through training, coaching and facilitated team building. Why so many leadership books? Back when I first wrote about Joel’s book, I hadn’t read it yet. Now that I have, I highly recommend it. So I think Zach is headed in the right direction, but his question also got me thinking about why there are so many books, blogs (including this one), videos, webinars, seminars, conferences, and discussions about leadership. To me, a big part of it comes down to application… or lack there of. If everyone had applied all the wonderful principles they learned from each book or video, we’d have a world full of incredible leaders. But we don’t, so we must need more books. This doesn’t make you a bad person or even a bad leader. It makes you normal. We all have good intentions, but sometimes finding the time to read the book, attend the seminar or watch the video is all we can muster. Application is either assumed just by participating, or is such an afterthought that it falls off the schedule. Some books try to set you up for success by very explicitly stating that the “application of the principles herein” is entirely up to you. Some authors will even encourage you to stop reading if you are not going to be open to changing your behaviors and actions. I wonder how many people stop reading at that point? Worse, I wonder how many keep reading and still do nothing with the new information? To go along with the lack of application theory, there is also a strange corollary that exists that ultimately creates a market and demand for these resources, and they are opposite sides of the same coin. People who are already good leaders are usually the ones who recognize that they can improve, so they seek the resources to do so. Books sell, so more books are written. Bad leaders, on the other had, typically don’t know they are the bad leaders and may not feel that all these resources are meant for them. People complain about these bad leaders, and more books are written. Since you are reading this, I would imagine that, like Zach, you are a good leader who wants to improve. If that’s the case, I have some recommendations for you… not about what to read or watch, but how to make sure you can apply the new knowledge. Read, watch and consume as much insightful information as you can about leadership qualities and strategies (not all at once – more on that below). The more varied viewpoints you can gather will help you define your own leadership style and purpose. You will come across things you don’t agree with, and that’s okay. Deciding what you don’t want to do as a leader is as important as deciding what you do want to do. Take your time and don’t get overwhelmed. Your development as a leader is a journey. If you do it right, there is no end to learning and improving your skills. You’ve got lots of time to take in all the great information out there. Don’t rush it. You just read a blog post about applying what you have learned. I did my best to present a compelling argument, and even supplied specific action steps for you to take. Now the question is: what are you going to DO about it? Thanks for reading (and doing something about it)! About the author:Matt Heller specializes in helping people apply the knowledge they have just learned, or realize the knowledge they already have. 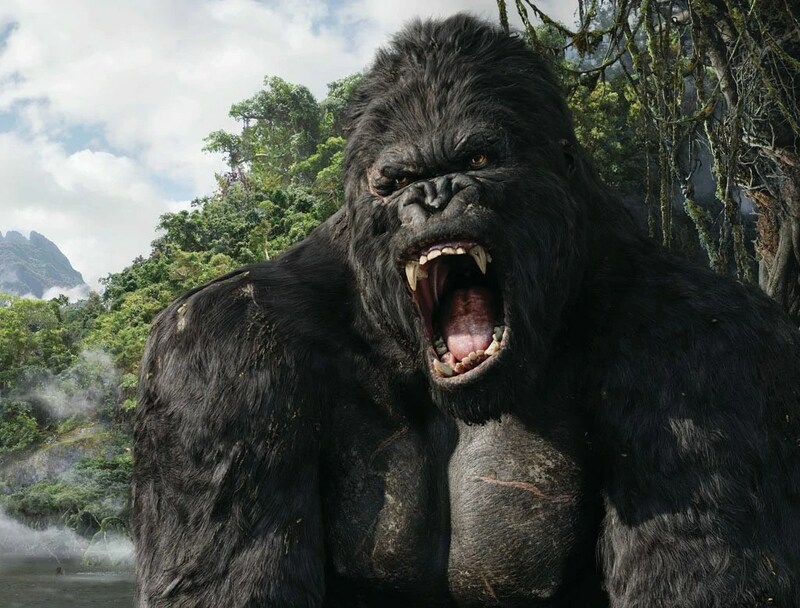 The other day my wife and I started watching the King Kong remake from 2005. I say “started watching” because we didn’t actually finish it. We couldn’t. If you are a fan of the movie, I apologize, but it just didn’t work for us. It just seemed to like it was trying too hard to be an over-the-top, grandiose cinematic masterpiece. We thought we remembered it as a well received and well reviewed film, so I started looking back at some of the reviews to check my memory. Then something interesting happened. I found myself only wanting to read the ones that shared my point of view about how awful I thought this movie was. I couldn’t stomach a single paragraph about how majestic and lovely this film was. Because to me, it wasn’t. Then it hit me: an essential human trait that stands in the way of TRUE communication: Too often, we will only agree with what we already believe. If you believe that large corporations are evil, you will likely discount any accounts that paint them in a different light. If you believe your boss is insincere, you will have a hard time accepting any sort of praise or feedback from him/her. If you believe that Jessica Sanchez should have won American Idol, you might have a hard time seeing Phillip Phillips succeed. What’s another way to put this? Oh yeah, we may not be quite as open-minded as we think. Watch or listen to any political debate where two or more people have opposing views. Is anyone really listening, or are they just waiting for the other person to stop talking long enough to restate their position on the topic? This is probably the basis behind the general rule that we shouldn’t talk about religion or politics at work. All that non-listening can quickly create a volatile environment. Taking politics and religion out of this, here is a situation that is a little closer to home. It’s a situation that I sadly witnessed. An employee was accused of stealing because of suspicious behavior and comments from other employees. Another Supervisor thought he was a bad seed all along, so he was only too willing to see the (largely circumstantial) evidence against the employee. The Supervisor didn’t believe a word of the employee’s testimony in his own defense, nor did he bother to look at a shred of contradictory evidence. The employee quit because he felt like the Supervisor was picking on him. The Supervisor’s mind was not open to anything that would contradict what he already believed, and the employee suffered because of it. I wish I could say this was a made-up scenario. I also wish I could say that I made up the whole human tendency to be closed-minded, but I didn’t. It took me watching a really bad movie to see just how this can manifest itself. Examine what YOU might be closed-minded about. What sort of things do you NOT want to hear contrary evidence about? Then the big question… WHY? Why do you have that belief… and what if it’s wrong? What if you are wrong about big corporations, your boss, or Jessica Sanchez? As a leader, we often have to hear things we don’t like or don’t agree with… even if it is coming from ourselves. About the author: Matt Heller is no Dr. Phil, but he does have an astute curiosity about psychology and human behavior. As a speaker, trainer, and leadership coach, Matt is fascinated by the process of uncovering exactly why people are motivated to do what they do.